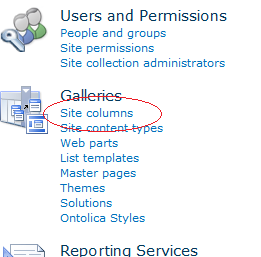 Should I use metadata tagging or rely on site structure (sites/libraries/folders) to organize content in SharePoint?" In our experience, a combination of site structure and tags will give the optimal results. Even though tagging is valuable, it can’t replace site structure because it is valuable to have different sites and libraries to target broad sets of content to different audiences. Or, you may want to have different security settings or permissions for different content sets, which cannot be easily done with metadata alone. Tags add value to a site structure approach to help users filter through documents within a site or library. Without tags, you would have to create a very details set of sites, libraries, and folders and it most likely would not be scalable. Also, when doing a keyword search across all sites and libraries, tags will help filter those results in a way that site structure alone cannot do. The team at WAND has been hard at work redesigning our website and we've officially re-launched it at www.wandinc.com. We believe this new website better reflects the products and services that we are bringing to the market. For the first time, all of the taxonomies that WAND offers are reflected on our website, instead of just the limited subset that previously appears. You can also learn more about WAND Within, our taxonomy partnership program,. Interested in taxonomy professional services, WAND has a variety of services that we are performing for our clients. We also have a brand new WAND Knowledge Library where you can find white papers, solution papers, videos, and other resources about taxonomy and the value they bring to organizing information.